There is a January intake and an April intake. 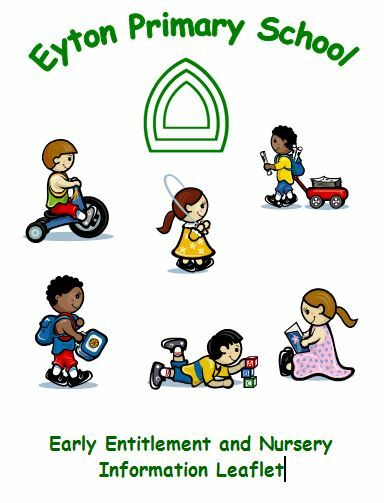 Please contact the school if your child is three before the school starts back after Easter – you could be entitled to start now! Children are eligible for admission at the beginning of the term following their third birthday. The Early Education sessions are four two and a half hour sessions a week. Children are admitted into Reception in the September after they have their fourth birthday. All prospective parents and carers are very welcome to come and visit our School. Please make an appointment by contacting us first, as this ensures that a member of staff is available to show you around and answer any questions you may have. Under the Education Act 1980, parents are free to state which Secondary School they wish their child to attend. Children from this school usually transfer to Penley Maelor at the age of eleven. Towards the end of the Summer Term prior to transfer, the children and you will be given opportunities to visit the Secondary School of your choice.